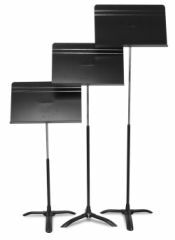 Please do call us to discuss your all of music stand requirements so that we can provide you with the best possible pricing. Specifically designed to be a "stacking" stand, the unique design of the Harmony Stand means that 25 stands store in just 1.8m of space - and 50 stands in just 3m! 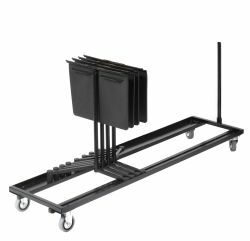 Available with a new extremely durable ABS plastic desk, the Harmony Stand will withstand the rigorous demands of any Music Department! Added to this is Manhasset's incredible 10 year warranty on all their products. 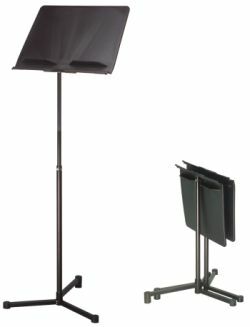 Ideal for classroom rehearsal and orchestras who demand high quality and durability. Rugged aluminium, lightweight desks are ribbed for extra strength and powder-coated finish resists scratching and chipping. Easy automatic tilt desk delivers constant tension at any position. Original Magic Finger Clutch provides one-hand height adjustment that secures at any height. Height adjustment from 26" to 48" (shelf to floor). The Symphony is also available in Taller (ideal for singers) and Shorter heights. 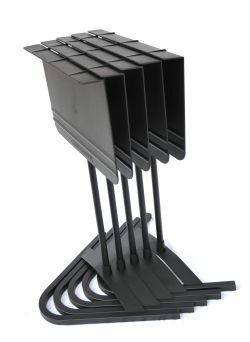 Superb concert stand, designed with double shelf for easy access to bows, rosin, pencils, reeds, valve oil, etc. 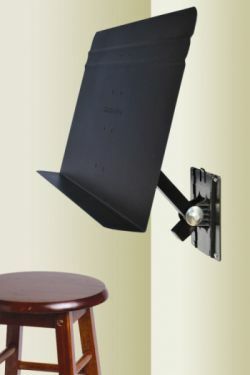 Enjoy the full size Manhasset music stand desk resting on any flat surface. 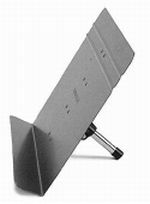 Protective rubber foot on the back support and felt pads located beneath the ledge to prevent any scratching on tabletop surface. Designed for studios, rehearsal or classrooms where space is at a premium! Performer desk area measures 51cm wide x 32cm deep (excludes shelf area). Height adjustable from 73cm to 133cm. 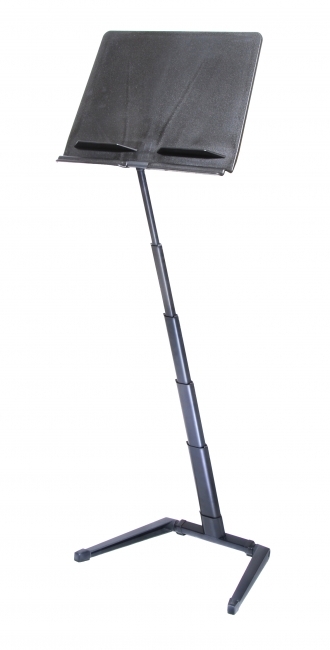 Height adjustable from 68cm to 137cm. Folds compact to just 51cm x 38cm x 5cm.